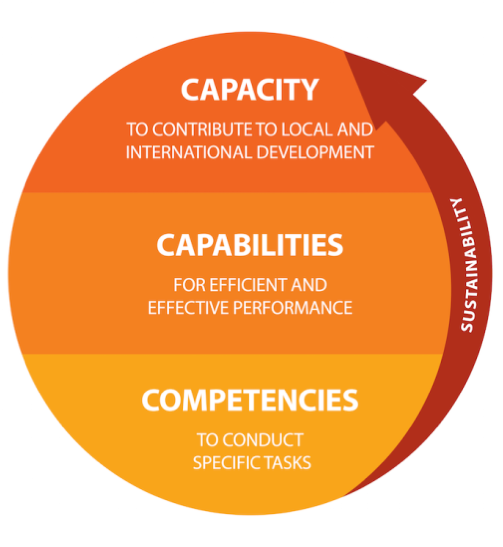 Many people use the terms Competencies, Capabilities and Capacity synonymously, but CIDT apply a nuanced understanding of this terminology within the context of International Development. Our understanding and application of this terminology within the context of International Development is described below. Competency refers to actual levels of skills, knowledge and attitudes. 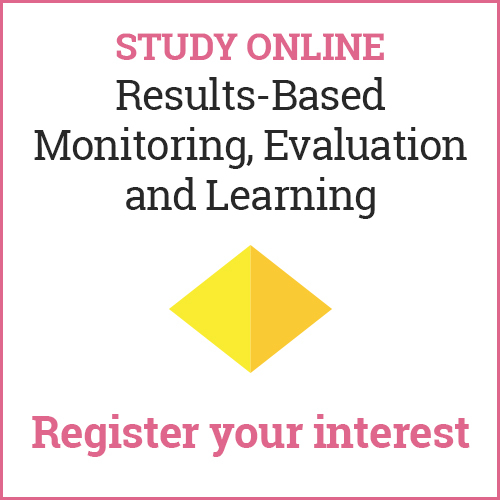 It signifies the state of being qualified to adequately perform a task. It is therefore the building block for higher-level, sustained capacity strengthening. Competencies are most applicable at the individual level. Capability is of a higher order than competency because it refers to the deployment and application of competencies. In order to be considered capable, other factors besides adequate skills, knowledge and attitudes must be present. In other words, in order to fully capable of performing to a certain standard, an individual may also need financial resources, time, motivation, support systems, etc. Effective institutional frameworks and enabling environments are key to making the transition from being competent to being capable. With regards to capabilities, this is especially where organisational/institutional levels come into play. It is very much about a systems approach. Capability is essentially the end point, in terms of how to measure whether capacity has been strengthened at individual or organisational level. With this in mind, we consider “capacity strengthening” as a process rather than an end result. The terms ‘Capacity Development’, ‘Capacity Building’ and ‘Capacity Strengthening’ are similar and often used interchangeably. The term ‘Capacity Building’ has fallen out of favour in some contexts as it signifies the construction of something from scratch; whereas in reality, everyone has an existing level of skills and knowledge to be reinforced and expanded. CIDT add value by helping people to strengthen their own capacity from the inside out, rather than ‘develop’ it from the outside in and hence we prefer the term ‘capacity strengthening’. ‘Capacity strengthening’ is complementary to other ideas that have dominated development thinking over the past four decades. These concepts include institution building, institutional development, institutional strengthening, organisational development, human resource development, community capacity building, rural development, etc. Capacity is not the final goal – it should always be a means to an end. It is therefore always important to ask ‘why’ and ‘to what end’ are we striving to strengthen capacity?